This free SolarWinds utility shows you how the server hardware components are functioning. The Server Health Monitor will show you at a glance the status of the power supply, temperature, battery, fan speed and array. You can also scrutinize the condition of the server's classic performance objects, memory, disk, and CPU. 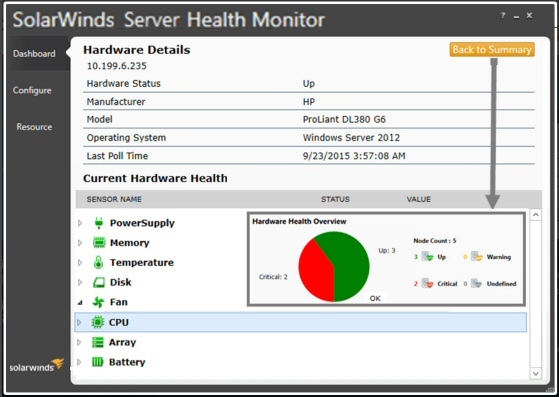 To check the status and metrics of server hardware manufacturers such as: PowerEdge™ (Dell®), ProLiant® (HP®), eServer xSeries servers (IBM®), and ESX/ESXi hypervisor (VMware®), download the free SolarWinds Server Health Monitor. The program itself is easy to install. The crucial step is to additionally download, then configure the vendor's hardware monitoring agent on the target machine; fortunately, you can get an appropriate agent from the Dell®, HP® or IBM® website. 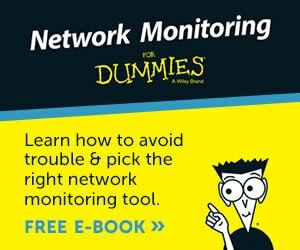 Once the agent is installed select SNMP or WMI from the SolarWinds interface and begin examining the sensors. The setup for VMWare® is even easier because in this case monitoring is done directly using the CIM protocol. Thanks to the SolarWinds dashboard, you gain insight into disparate vendor systems in a single console. Combine business with pleasure by checking key health metrics and thus truly understand your servers' performance. By examining the hardware's health in the Server Health Monitor, you can spot problems such as fans running abnormally slow (or fast) and thus replace them before the fault becomes critical. If there is a problem then it's worth finding out if there is a BIOS update at the Dell, HP or IBM website. Another related sensor worth keeping an eye on is temperature; the normal range for metrics vary from server to server, so check the 'Caution' and 'Critical' values in your manual. 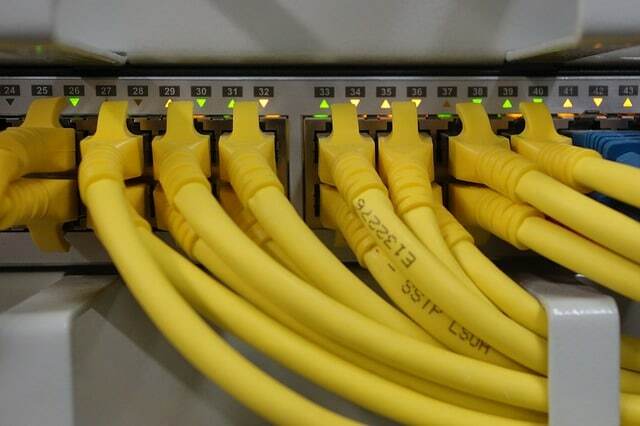 If you expand the Power Supply sensor, it will reveal the server's electrical current and voltage. Recognize that what's visible in the Server and Health Monitor will vary depending on the agents supplied by your hardware manufacturer. 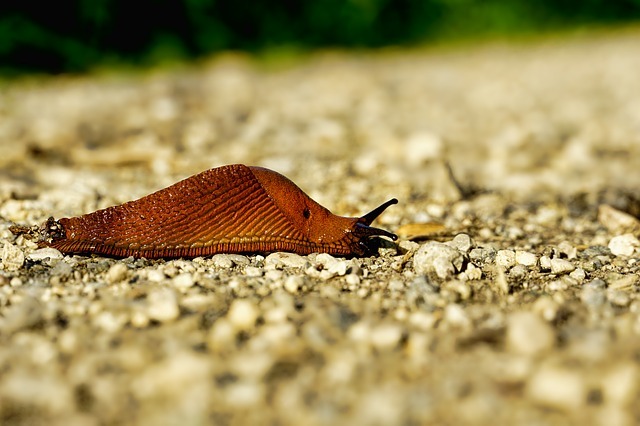 What's the Catch with SolarWinds' Server Health Monitor? How can such a wonderful tool be "100% free forever"? 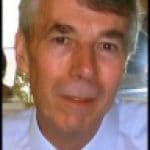 What's the catch? Well, if you just want to monitor the basics on 3 or 4 servers, then there is none; Server Health Monitor is the perfect cost-nothing solution. However, if you need to monitor more than 5 servers, or you need more advanced features such as, analyzing response time, then the best product for you is SolarWinds' Server and Application Monitor. 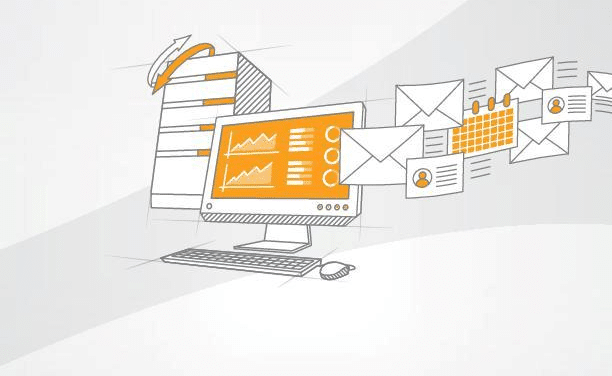 SolarWinds produce a more advanced product called Server and Application Monitor (SAM); it has a dashboard which will enable you to be more proactive in monitoring the server environment. As a result, you will be able to anticipate and prevent application outages. SolarWinds SAM provides templates so that you can drill down into the detail of server and application performance. The well-designed dashboard also allows you to analyze real-time or historical trends. Measure resource utilization, especially CPU and memory. Monitor server processes or services. Discover, and track, IT asset inventory of both hardware and software. Here we have a tool which will help IT pros become more familiar with the performance of their servers. 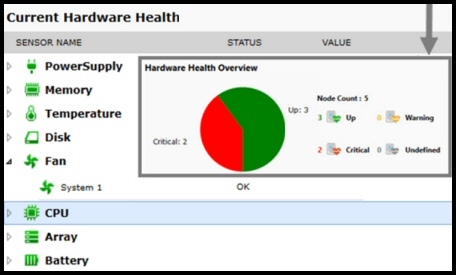 If all you need is a simple but powerful utility to check a handful of servers, then download your free copy of Server Health Monitor. Get started by examining the metrics of the power supply, temperature, battery and fan speed. The same 'Current Hardware Health' interface also shows the wellbeing of the server's memory, disk, CPU and array. Should you need a more comprehensive dashboard then check-out SolarWinds SAM. Here are nifty gadgets which I have enjoyed testing on my network. Some are completely free, while other downloads are trial versions of the full product. I think SolarWinds have a great strategy, namely, supplying a free utility, yet providing a big-brother suite of programs for larger organizations.